One of the things I’m frequently asked about is how to see if or when someone changed something mission critical. 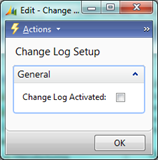 Microsoft Dynamics NAV has a built-in system for tracking changes to any part of the system, but you have to know how to configure it and how to read the results. 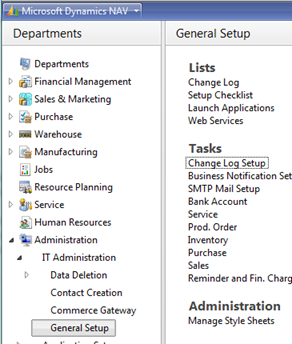 To enable the Change Log, we’ll need to go into the Departments area, under Administration -> IT Administration, and select the Change Log Setup task. That checkbox turns the whole Change Log engine on and off. Check off the Payment Terms Code. Now when anyone alters the Payment Terms for any of the Customers, it will be logged who did it and when, as well as the before and after. 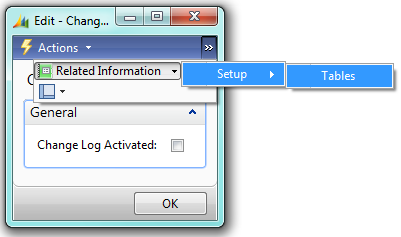 The Change Log records changes to settings to the Change Log itself, so if someone tries to circumvent any logging by altering the settings, the circumvention attempt will be logged. 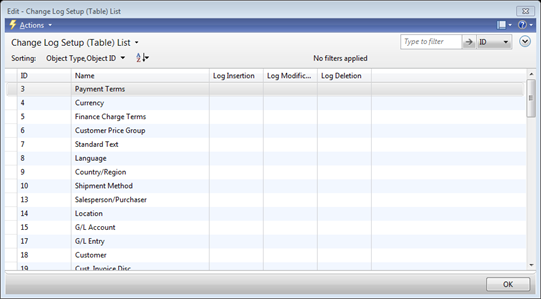 As you can imagine, it’s very easy to set these to monitor critical elements of data. It is a very good idea to set these up on critical setup tables or critical financial components (like the Chart of Accounts). For some forms of auditing, such as Sarbanes-Oxley, you can likely consider this mandatory. But, something to be careful of – this data can grow very quickly if you set it up on the wrong fields. For example, if you set this up to record every insert, modify, and delete on a Sales Order table, every time people are going about their normal work, they’ll fill this table with hundreds or tens of thousands of records. 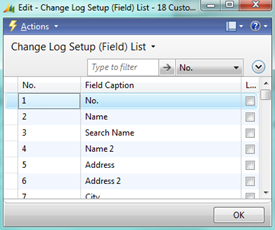 Featured Posts, NAV Configuration Audit, ChangeLog, SarbanesOxley. permalink.